We've got 5 kidlets ages 7, 5, 4, 2 and 17 months. 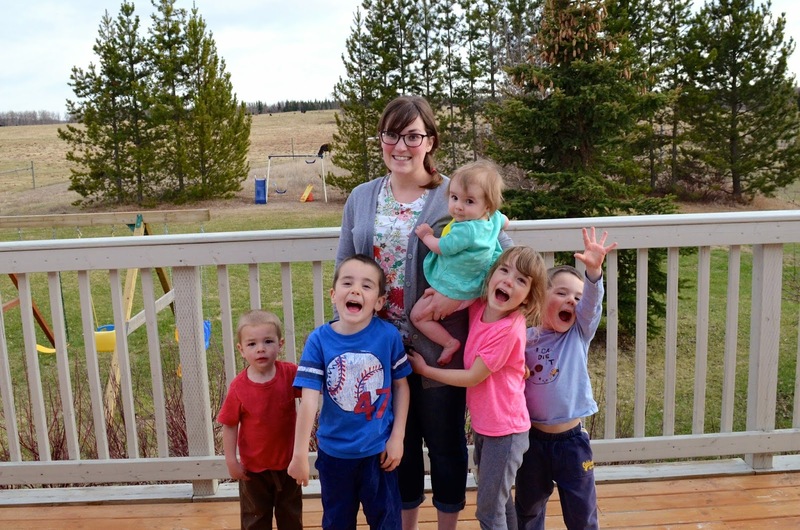 Yes, that is 5 kids in less than six years - so our children are very close in age and it's been quite the steep learning curve for me as a mom. Our biggest age gap is 26 months and our closest in age are only 11 months apart so I've always had more than one baby around and almost always toddlers too! I can't quite speak to this question to the fullest extent since Gemma, my oldest, has just turned 7. My three oldest are pouring their own water, getting dressed themselves, and are already handling small chores like sweeping, unloading the dishwasher, putting away laundry etc and I can't believe the difference it makes! Even these small things feel absolutely epic to me who once was changing the diapers of three babies under three! They also are very good at entertaining each other and Max, the 2 year old. I find their playing together to be invaluable and one of the best things about having kids close together - so glad there are upsides! Hahahahaha! You're probably going to have to get back to me after menopause in order for me to answer this one. 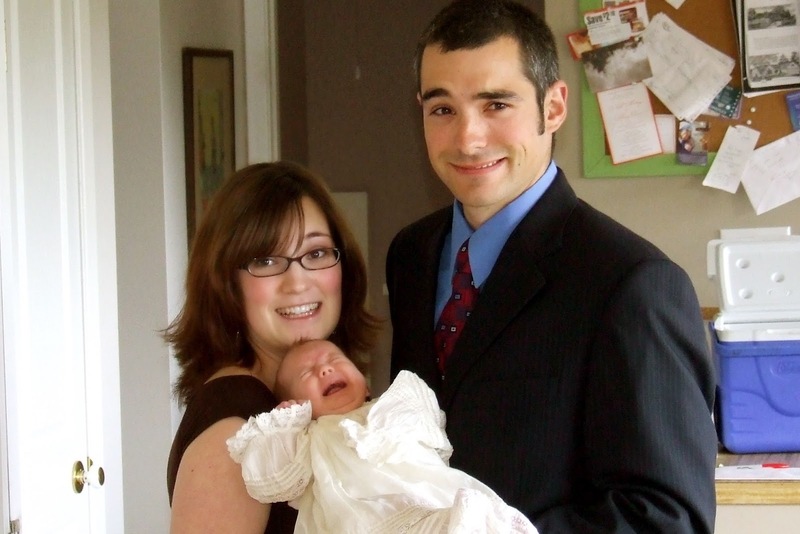 What are some things you did with your first baby that in hindsight seem a little ridiculous? Probably compare their growth and progress on a monthly basis to other babies. I remember worrying over Gemma not crawling and not walking and when she should eat this or that, and I'm just so glad I'm not burning brain cells on that stuff anymore because really, babies just grow and you can just relax because infancy truly flies by and everyone really does learn to walk and talk and eat. I honestly have to stop and work out how many months Nora (my baby) is now because the monthly growth business doesn't even enter my mind anymore. I've become much better at enjoying whatever stage they're at because I have the perspective of a few children to know that even the most precious or frustrating stage is really a stage. There is light at the end of the tunnel/a sad time when they won't be a baby anymore. What's something you stressed about that doesn't stress you out at all anymore? A lot about growth and development I think. I wish I took that back for my first baby. Also I just wish I didn't stress so much about changing their routines or sleeping arrangements so much. Babies adapt so much better than we think, we just have to stick to what we decide we want to do. Now when we want or need to change something we know there will be a period of adjustment that can be rough/exhausting/frustrating but that the child will eventually adapt and be fine. Describe a moment, if you can remember one, where you definitely did not have it together. There's been a lot. I'm not going to lie. I think I've let naked toddlers deliberately spill boxes of cereal on the floor in order that I didn't have to get up with a sleeping baby on me. It is certainly difficult having three very small children all in diapers and being completely dependent on you for everything. I think that was the most challenging time for me, it was a very, very basic survival mode where I just had the expectation of getting through a day. And to be honest that expectation got me through. I think I've adjusted my level of what's acceptable a lot and it helps. I have an acceptable threshold of chaos. If I want to spend some time, I'm talking about 10 minutes, on the phone with a friend, writing a blog post, cooking dinner I have come to expect that a room will become a complete disaster. Sometimes that's just unavoidable. Does that mean I have it altogether? No, it means I'm mortgaging ten free minutes with a dirty basement. I've had seven years of multiple babies/toddlers/children needing me constantly. I think if I go a day without having to lock myself in a bathroom I consider that a major win! What's an expectation for yourself/your kids/your husband that you have totally let go of? I think one of the most important ones especially when all your kids are toddlers is to let go of the expectation that everyone will be happy all the time. I think this is a concept of parenting that really impedes us enjoying ourselves or being miserable all the time. It's really easy for us as moms to think we have to make our kids happy all the time, because when they're infants we have the ability to make them happy all the time, or for the most part anyway. But once you've got multiple children, especially toddlers not everyone is going to be happy all the time. There's going to be crying and whining; you're not going to make everything better for everyone in the same instant. I think once I figured this out, and I really had to once I had my third baby, I understood that I'd focus on meeting the most needy in the moment and move down the scale of neediness. 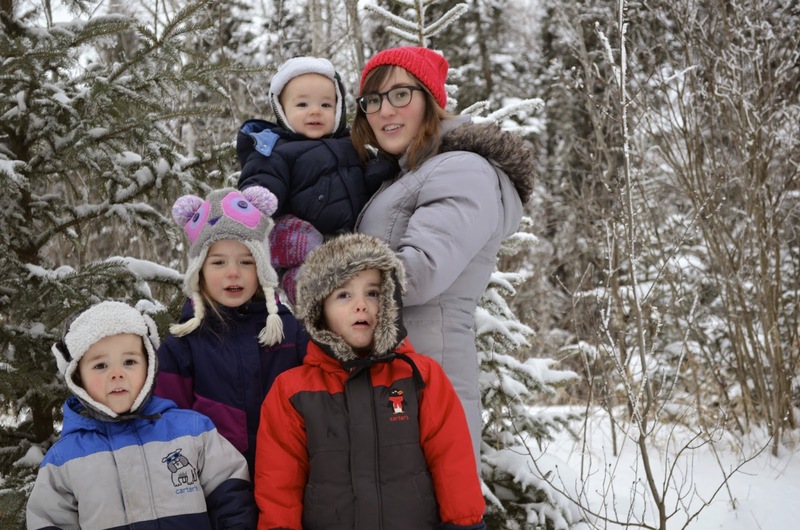 The kids grew in patience and the knowledge that they're not the centre of the universe and I let go of the burden of believing that to be a good mother my children had to be happy, non-screaming, non-crying, non-whining at every waking moment. There is difference between caring for your children well and making them happy all the time. It's beyond exhausting and darn near impossible to make toddlers happy all the time. It didn't take me too long to figure this out, but once I made the realization it freed me to not feel like a failure on the days that my kids just whined and cried no matter what I did. Making the decision that my mood won't be dependent on their mood also helped a lot. It took my husband longer to learn that, and maybe we're both still learning that, but the babies can be crabby but that doesn't mean I have to be. I may need to remind myself of this axiom about 100 times a day, though. How do you conquer nap strikes? Well, I come down on them with the iron fist of motherly dictatorship. Seriously. Sleeping and napping to me are the most important thing in parenting. Which really tells you that my children are not old, and that I've dealt with a lot of toddlers at a time. But honestly, the best advice I can give any mother is to be religiously consistent with their kids and insist on naps from the start. It gives you freedom. It gives you time. It gives you that break for sanity. The best thing I've done with my babies is to sleep train them. I thought I really subscribed to attachment parenting before I had children, then once I had them I realized that my sanity could not tolerate a little time and space built into my day that I could depend on. I still believe in attachment parenting philosophically, I just don't feel the physical element is as important as the books say. So hopefully that doesn't make me heartless! I'm so happy I taught them to fall asleep themselves when I put them down, and to expect that nap time everyday. It can be a struggle to get them to that point but it is so worth it, especially if you plan on more kids or are open to having no plan when it comes to future children because having a stable routine and babies that slept well was really a lifesaver when it came to having a bunch of kids in a short period of time. As a new mother, how did you find time for yourself? My husband has always been really great in insisting I need time for myself and always being willing to take his shift of kid time. I live in a pretty isolated area and sometimes the only way I can get out and go to a Starbucks or a Costco is to leave for most of the day when he's home from work. When it's really hard for me to get out he always lets me sleep in on weekends and that has been a real sanity saver for me. To have a mini-break from getting up early and dealing with the morning chaos makes me feel refreshed and as if I actually have a weekend and I just can't recommend that small idea enough. Other things that help me when I don't have a bunch of time is even a half hour at Adoration, or maybe an hour locked in my room just reading. It feels frivolous at the time when you've got a filthy kitchen or unvacuumed mess, but doing a little of what refreshes you meaningfully makes a world a difference in the long haul of mothering babies who are up at all hours day in, day out. My family also lives close by and are always willing to take a kid or two no matter the time and I have quite pathetically called my mom at 6 am after being up all night with a baby begging for her to take my other kids and she always does! How did you find time to encourage your marriage? I don't know if I'm an expert in this subject because we don't get dates nights often, maybe a couple times a year - which is terrible if I think about it for more than a minute, so moving on quickly! Luckily we're both homebodies and we both look forward to just being home together. Because of our sleep training of the kids they've always gone to bed at a good hour and my husband and I usually spend some time doing our own thing, then do something together every night. We also always go to bed at the same time which hasn't been easy at different times of our marriage but it really lends more intimacy to our everyday that could easily not be there. It's a good habit in our marriage that we work at, even when it means my husband has learned to go to sleep with the light on as I read. If you could go back and tell something to your newmom self, what would it be? Probably it would be something like, you're going to get better at this. It's just so overwhelming to be a mom for the first time that everything feels so hard, and so unimaginable, and so tough. But every year you get better, which makes things easier even when you don't think it could be possible. I don't remember hearing that when I became a mom and I really wish I did. 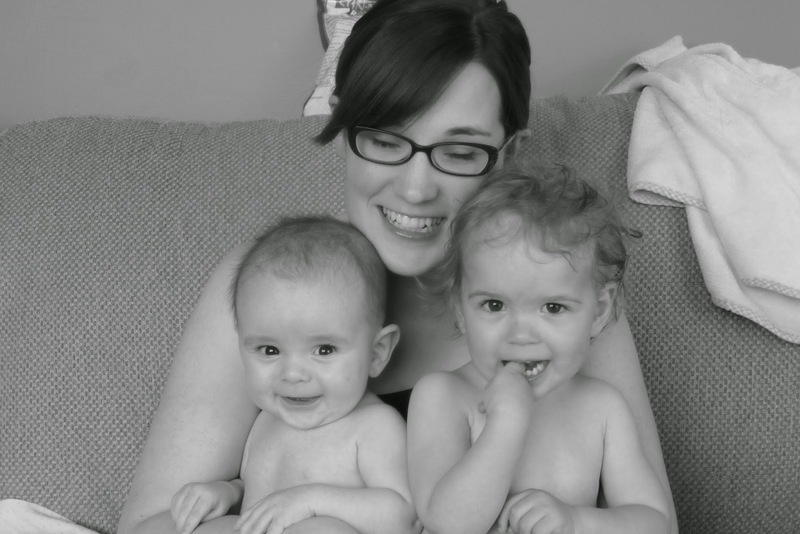 It's really nice to hear any kind of affirmation in your motherhood at any time in your motherhood career I think! Thanks for reading and thank you so much to Christy! And if any of you veteran moms are interested in sharing your own stories from the early years be sure to link up here. Christy, we are totally kindred spirits. I was just telling Dave the other day that if we had a family mission statement, independent sleep would be one of the main tenets. Also, we are homebodies who go to bed at the same time. Occasionally we get out and do fun things but we usually find it to be overwhelming. So lame. Definitely kindred spirits! Haha, I think it has a lot to do with our personalities but when my kids have trouble sleeping I'm a miserable person. And I'm the biggest homebody. I still feel guilty about it sometimes, but what can you do. "Making the decision that my mood won't be dependent on their mood also helped a lot." Yes!! I'm sure my days would be much better in general if I could only remember this when I need to. And amen to independent sleep–it may not be for every family, but mine would not be functioning without it! It's hard to remember. I don't even understand why it's so hard to figure out, but it took me a good long while! And yes, I just love independent sleepers. I guess this probably has a lot to do with my personality, but I really love it. I loved this so much. Christy!! Why don't you live near me? Also, Kate should move back. Yes, I definitely need to live in California! No! I want you all to live up here in the land of the frozen tundra, Minnesota. Well, Christy, you may also have frozen tundra . . . .
Firm believer in both sleep training and going to bed at the same time as your spouse. Don't know where I would be without those! Well, a whole lot crazier, probably. Yes! I'm right there with you. Praise the Lord I figured it out or else I think I would have lost my sanity 4 kids ago! Love your reflections, Christy! 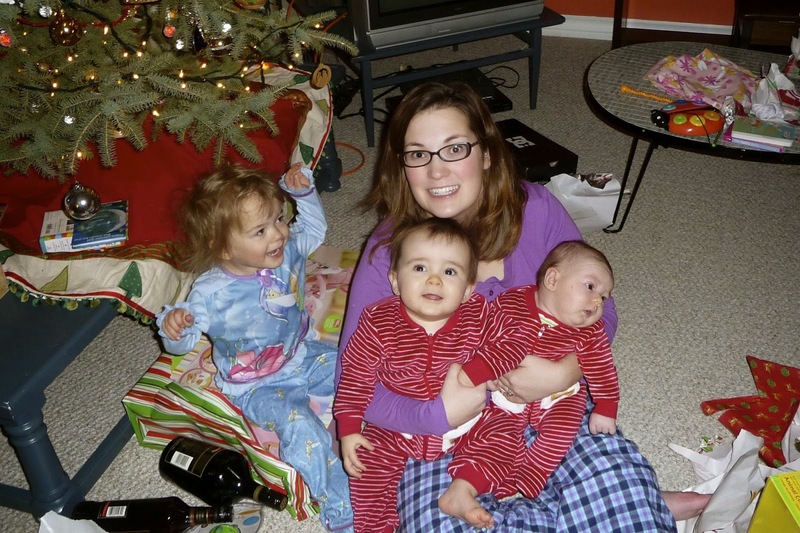 I've have three under three, all in diapers and I clung to a sleep routine for my sanity! I spent way too much energy feeling bad about not successfully accomplishing attachment parenting to a "t"... You're right, mama's sanity is key, and sleep allows mama to love more lovingly. :) blessings! Yes, it's hard when you feel bad about your children actually sleeping! But really, a lot of cultures have done sleep scheduling in the past, it just was something that was naturally part of a child's daily routine, because they need it so! Somehow we got so far from just giving the kid a nap and helping them figure out how to fall asleep by themselves. But honestly, it's such a lifesaver when you have kids close together! I just don't think the attachment parenting ideologues thought out kids close together very well. Thanks so much Erin. I remember that this very thing was something that caused me a lot of pain when I was having my first babies so close together. I honestly thought it was awful that I would always have someone be miserable. Of course, that wasn't the case, but the fact is all toddlers no matter if they have close siblings or an all-attentive mom throw tantrums and are irrational at times. It just helped me a lot to figure that simple thing out! "My mood won't be dependent on their mood." YES. This is HUGE. It's a hard thing to realize when you spend your entire day with small babies and toddlers-I don't think people realize that. I mean, it took me a couple years to realize and I was the one living it! "It feels frivolous at the time when you've got a filthy kitchen or unvacuumed mess, but doing a little of what refreshes you meaningfully makes a world a difference in the long haul of mothering babies who are up at all hours day in, day out." Oh Christy, thank you so much!!!!!!!!! And thank you, Kate, for bringing her wisdom to us! This. So what I needed to read right now as I navigate taking care of a 7 week old and a 16 month old. It's so true that you have to be ok with one, or both, crying! Thank you. Genius, Christy! Ha! I don't know about genius, but I'll take it! Thanks Nicole! As always, I hang on every word you write! Thank you for being honest. I just figured out the don't-let-your-mood-depend-on-theirs thing this week. My question is how? What tricks have you learned to accomplish that? Took me time to read all the comments, but I really enjoyed the article. It proved to be Very helpful to me and I am sure to all the commenters here! Itâ��s always nice when you can not only be informed, but also entertained! Hello,I love reading through your blog, I wanted to leave a little comment to support you and wish you a good continuation. Wishing you the best of luck for all your blogging efforts. Hi,I am actual page rank Backlinks provider,I am giving the warranty that all links are powerful and ranked your site with a days.